► What did the Postman bring today? What did the Postman bring today? Re: What did the Postman bring today? I had an air pump take out one of the fan mosfets on my duet which cost me to get repaired. Have you seen the textured as per cartoon alternative in Thingiverse? May suit you, but its what I bought first, and IMO its too light/orange based. 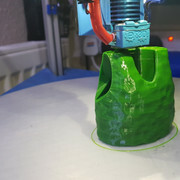 though the esun PLA stuff actually prints quite well even on stock temps (which is a rarity), you might want do a few practice prints with it while adjusting temps. 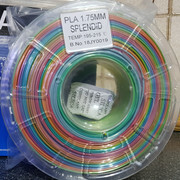 I've found Esuns PLA has quite an annoying trait in regards to its finished colour which is effected to a greater extent by printing temps than other PLA's. The red in particular can range between a pinky red to a pastel red depending on the print temp but if you can find its sweet point it'll print the same colour as its roll. 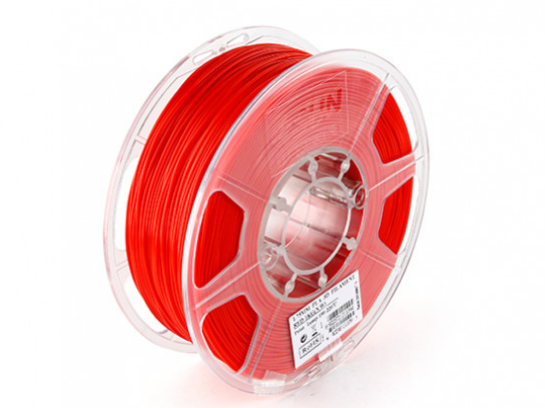 I have used the ESun Red PLA for most of a 1kg reel now, on two printers and with varying settings. I even forgot the Prusa Control generated file for one print was set for a high temp PETG and printed that high. Cannot see any difference in the print shading/colour. ESun state 190-220. and I have used 20 below and above that range. Anyway, its the orange red tint I dislike, and so have been using it up to get rid of it on things like the flame stencil used on the plane in "print today", which was most of the bed size on the i3 Mk3. 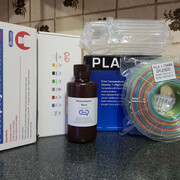 Provided the bed is clean (IPA) it does not seem to care what it prints ON, or that much on bed temp either, from blue tape to the Prusa coating or the HK Fab II black bed sticker, it seems very unspecific on bed needs. Bottom Line - I have not been able to see any difference in shading caused by temp of printing, so have I not found its sweet spot? If like you say you varied temps (even unintentionally) you should have been able to note a difference, dont get me wrong its not a shocking difference but its notable when you place the two identical parts alongside each other. Infill density and perimeter layers add into the variance also I noted. It is a nice contrast to the Technology Outlet sourced paler "Skin". Now next opportunity to print it'll be on to some figures. First is to maybe re-print Odie then just darken the ears?